There's a server in my office and it has an audio card in it, so I figured why not have Home Assistant speak things to me. I started simple with just a basic greeting when the lights came on, and a goodbye when the lights went off. But then I decided to up the ante and have Home Assistant pick a greeting randomly from a list. Spice things up a bit. Next, go grab random-message.pl from my Github repo, https://github.com/heytensai/homeassistant/tree/master/random-message. 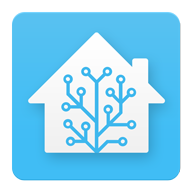 I'm running Hassbian and put it in /home/homeassistant/bin. You may need to adjust that depending on your install. Did I mention that this is a pretty manual process and not for the faint of heart? Create a directory to store your random messages. The script chooses a single line out of a file and sends it to an MQTT topic. The name of the file can be anything. One message per line. I created /home/homeassistant/random-messages as the directory and made two files named "hello" and "goodbye". Now comes the time to set up Home Assistant. Step 1 is to create an MQTT sensor to store the message text. Now we need a notify service to update the message right before we play it. This could probably be simplified to a single notify. Then we create a script that calls the update and subsequently plays the audio. You'll need to substitute your actual notify command here, which could be anything. And finally, something to trigger it. I have a binary sensor based on a light sensor that tells whether the office is occupied or not, and that determines when I play the message. Substitute your own criteria here.